Javelin Controls & Distribution were formed to assist manufacturers with electrical & control systems for special purpose machinery and process automation. 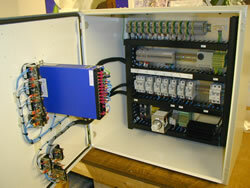 Our design capabilities include electrical, control, instrumentation, PLC, HMI, SCADA and servo motion control software. The majority of our work is for UK based OEM’s, although we have undertaken projects in the US, Europe, and the Far East. Our client base is mainly from the pharmaceutical, food preparation & process control sectors, encompassing end of line wrapping/packing & special purpose machinery. Javelin Controls have gained significant exposure to the majority of modern industrial control systems including SCADA packages such as Cimplicity & Intouch as well as the PLC platforms of Allen Bradley, Mitsubishi, Siemens, Modicon & Omron. We also have motion control experience with Control Techniques, Allen Bradley, Siemens and Quin. 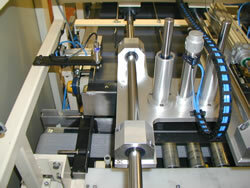 A few of the projects we have carried out recently include a seal test rig for conducting and recording performance tests on special purpose high performance seals, a rotary de-nesting machine for completing batches after a quality control check has removed faulty items, and a machine for trickle impregnating electric motors with a resin coating to encase the motor windings. 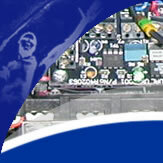 Further details of these projects can be found here. We take a partnership approach to projects allowing us to work closely with the machine manufacturers, designers and end users.